In this paper, we introduce our designed robotic nanny called Dorothy Robotubby to play with and take care of a child in case his/her parent or caregiver is absent. There are two main user interfaces in our robotic system: local control-based and remote control-based. Local control-based interface is developed for a child to control the robot directly to execute some tasks such as telling a story, playing music and games, chatting, and video calling. 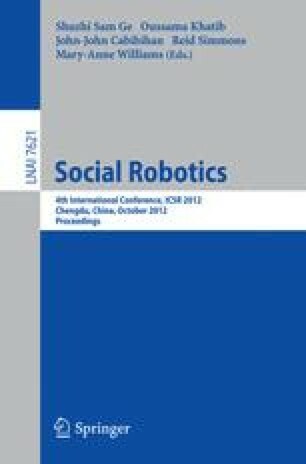 Remote control-based interface is designed for parents to control the robot remotely to execute several commands like demonstrating facial expressions and gestures. By operating these two interfaces, our robot can not only interact with a child in an attractive way, but also build a connection between a child and his/her parent. In a real pilot study, 7 children aged from 4 to 13 years old and their parents are involved to test our robot. Experimental results have shown that while there are some room to improve our robotic nanny, most children and parents express large interest in our robot and provide comparatively positive evaluations.